This Simmonds Brothers short zips through five generations of their family history, from Croatia to the Kapiti Coast, plus a shipwreck near Auckland. Described as a 'documation', the voices of yarning family members are married to their cartoon likenesses, to comic and ultimately moving effect. The film opens with Mariano and Elizabeth Vella's great great granddaughter and moves to a dramatic re-enactment of the Dalmatian settlers' so-called "very nice honeymoon" on the steamer SS Wairarapa, when it was wrecked off Great Barrier Island in 1894 (131 people died). This turn of the century comedy series is a satirical look at colonial life through the eyes of Māori chief Te Tutu (Pio Terei). In this third episode, Te Tutu interrogates efforts by the settlers to mine for gold, and has designs on Vole's stove. Objects of ridicule include Pākehā and Māori cuisine; settler lust for “a useless, worthless, dangerous, coloured stone”; and patronising colonialism: “what’s the story with those beads and blankets? Haven’t they got any cash?” Meanwhile hangi pits are causing a spate of injuries. Michael Saccente has a guest role as an American miner. This topic of the sixth episode of this Māori/Pākehā satire is 'war'. 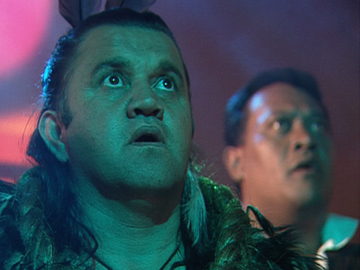 Irish Colonel North (played by veteran actor Ian Mune) and his British Army soldiers arrive, on their way north to fight Hōne Heke — provoking chief Te Tutu (Pio Terei) and Ngāti Pati into action. Te Tutu’s warmongering with the settlers includes mooning, flagpole-felling and insulting Mr Vole's long-suffering wife (Emma Lange). When the signals aren’t picked up, a stolen rooster gets things moving. A fierce haka is answered by a traditional English song: 'Old Macdonald had a farm'. 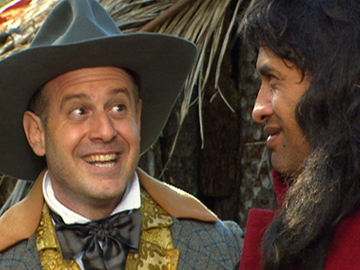 Illustrious Energy sees Chan and his older mate Kim prospecting for gold in 1890s Otago. Marooned until they can pay off their debts and return to China; they’ve been fruitlessly working their claim for 12 and 27 years respectively. Chan faces racism, isolation, extreme weather, threatening surveyors, opium dens and a circus romance. 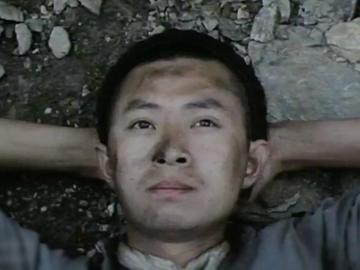 The renowned feature-directing debut of cinematographer Leon Narbey provides a poetic evocation of the Chinese settler experience; especially vivid are Central’s natural details — desolate schist and tussock lands, rasping crickets. 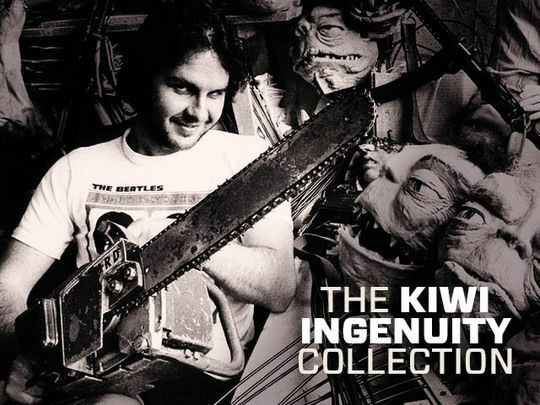 This 1978 National Film Unit documentary provides a potted history of settler groups that came to New Zealand from Europe. Archive material and narration covers the colonials. Then visits are paid to the German-descended Eggers, tobacco growers from Moutere, and newly arrived French bakers and Dutch dairy farmers. Aptly for a film directed by actor and future winemaker Sam Neill, the film drops in on an Italian play and the Babich family of Dalmatian winemakers. Neill worked at the NFU in his 20s, around the time of his breakout acting role in Sleeping Dogs (1977). 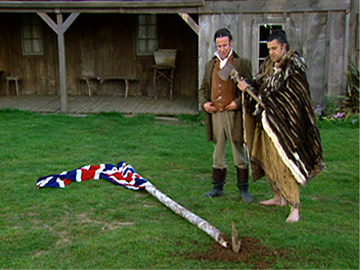 In the tradition of Billy T's 'first encounter' skits, this series used satire to examine pre-Treaty of Waitangi relations between tangata whenua and Pākehā settlers. The topic of this fifth episode is health. After Te Tutu (Pio Terei) wakes with a bad back, his daughter Hine Toa (Rachel House) suggests trying out some alternative medicine: Pākehā bedding. Newly arrived Nurse Veruca (a cameo from Susan Brady) clashes with comical tohunga Tu Meke (William Davis) and stirs up symptoms in Henry Vole. Terei has commented that the show's take-no-prisoners humour was ahead of its time. This Touchdown reality series puts a Kiwi family in the shoes of a family of 1852 English immigrants to Canterbury. The challenge for the Huttons is to see if they have the 'pioneer spirit' and can live with colonial clothing, housing and food for 10 weeks. From a gentler, non-competitive era of reality TV, this first episode sees the Owaka family of six (including baby Neil) experience six days of life on a settler ship – seasickness, food rations, restrictive clothing and bedding and chamber pots – while relaying their personal reflections to the camera.